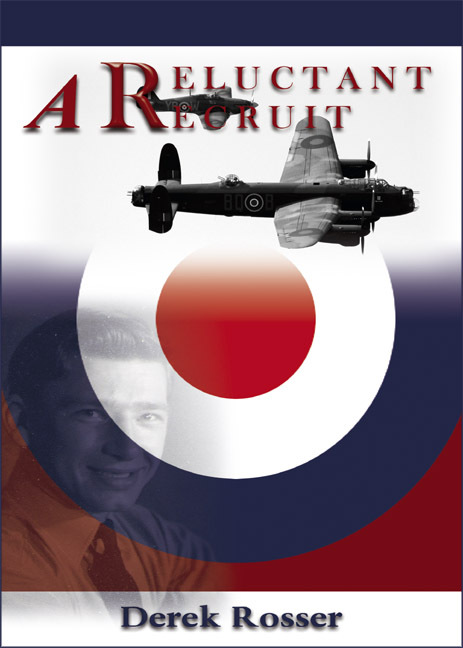 "My adventures as a ‘Reluctant Recruit‘are the subject of this volume. I decided, at the time that I would, one day, tell the story. One day was fifty years later but here it is at last..." Says Derek Rosser . Derek shares true life, post war-time adventures as a ‘Reluctant Recruit’ during his National Service with the Royal Air Force. - As the author, I hope that those who served will enjoy reading this book as much as I enjoyed writing it. To the younger reader, yes it really is true....well most of it anyway. My apologies for being anonymous above (finger trouble) I'll be more careful now. If anyone has a question concerning my work, I shall be more than happy to answer it here. A most enjoyable, amusing read.The author, Derek Rosser has conjured up very telling memories of National Service with a witty turn of phrase. Like many born after the war, I’ve heard talk of National Service, but never really appreciated what it involved. Derek Rosser’s recount of his personal experiences is absolutely captivating - and very funny. You can’t help but laugh aloud at the coal bunker ‘inspection’, and the Wednesday afternoon sports scam was bound to end in disaster! But there’s a serious and very real side to the story too, one that the style of writing brings alive as thought these are your own memories. A really enjoyable and highly recommended read. Very interesting and humerous. An enjoyable read either as a whole or in individual chapters. A thoroughly enjoyable read which gave a wonderful insight into the dreaded National Service. Glad I missed it by a few years!